Afghanistan welcomes todayâ€™s high-level meeting which is a manifestation of our shared conviction that strengthening the rule of law, nationally and internationally, serves our mutual benefit. Over the course of the past six decades, the United Nations has made great progress in securing peace, safe-guarding fundamental freedoms, and assisting countries emerging from conflict.Â The rule of law has been a fundamental basis for all these achievements.Â In short, we can say that the rule of law is the very bedrock on which peaceful, stable, and harmonious societies flourish. For Afghanistan, upholding the rule of law is an essential component of our transition from a society ravaged by decades of conflict and war to one where we are working to take on the security, development and justice challenges that remain. Our efforts to rebuild began with state institutions that were either non-existent or severely weak. Over the past years, weâ€™ve made progress in making our justice sector operate with greater capacity to ensure improved rule of law. This principle is embedded in our National Development Strategy. We have taken wide-ranging measures in support of an independent, more transparent, impartial and credible justice sector, including: the adoption of a Constitution which safeguards the rights of all citizens; conducting an overhaul of our national legal framework; and the development of national action plans to restructure and build capacity in our Ministries. Ending impunity is an important step in building public confidence and trust in our justice and security sectors. To this end, the newly drafted Criminal Procedure Code was this year presented to the National Assembly and is expected to be placed on the legislative agenda soon. Several working groups have also been continuing their efforts to revise the Penal Code, to strengthen the protection of all citizens, with particular focus on the rights of women and children. We have made considerable progress in broadening participation in education, and in particular higher education, where the judges and lawyers of tomorrow will be trained. Through these gains and many others we are re-building the necessary tools and institutions to ensure the rule of law as a solid basis on which to build sustainable peace. The chance to live in peace and security is a fundamental right of all peoples. The people of Afghanistan desire nothing more than the chance to live in a violence-free environment. In that regard, Afghanistanâ€™s security sector reform, initiated in 2001, has led to the formation of a national army and police whose ranks represent the diversity of the country. Consistent with the transition process, our security forces are taking increased responsibility â€“ back by public confidence in them â€“ to meet the security needs of our peoples, in our villages, towns and provinces. 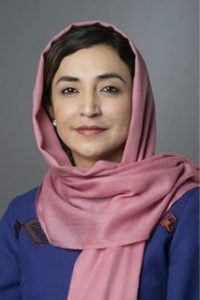 For the past decade, we have been studiously engaged in combating corruption, an ill that has had a drastic effect on our governance, stability and prosperity â€“ it harms Afghans first and foremost. Defeating the menace of corruption therefore remains a high priority for my Government. We have taken a number of measures to achieve a fully transparent administration, the most recent of which was the issuance of a Presidential Decree this past July â€“ directing all Ministries, agencies and independent directorates to undertake comprehensive reforms and other measures to defeat corruption and strengthen transparency. 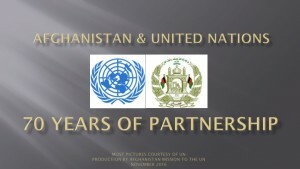 Afghanistan is party to a multitude of relevant treaties and conventions which seek to uphold and promote the rule of law in a wide array of spheres. We recognise that signing and ratifying treaties is not enough, and that rights and obligations arising from international instruments must be implemented into national law. It is for this reason that President Karzai has instructed the Ministry of Justice to actively take forward the process of ensuring that our national legislation is in full conformity with our international commitments. The Secretary General has named strengthening compliance in the context of the United Nations a priority in the field of the rule of law at the international level. Achieving a reformed Security Council with a view to increasing its representation, transparency and furthering its effectiveness is of utmost importance. Afghanistan has taken a lead role in chairing the intergovernmental negotiations on Security Council reform, and we stand ready to ensure that this vital reform of the Security Council strengthens and enhances the United Nations ability to promote and uphold the rule of law at the international level. We highlight the importance of the International Criminal Court (ICC) in promoting international criminal justice, and addressing the most serious of crimes, as a court of last resort.Â As a State Party to the Rome Statute of the ICC, we welcome the continuing increase in the number of States joining the Statute. This illustrates that the Courtâ€™s work and influence is gaining momentum. While this High-Level dialogue is significant in engaging Member States on this important issue, we must ensure that we do not stop at dialogue; our agreed outcomes must be implemented both at the national and international levels. Afghanistan will continue to do its part to help strengthen, as part of the global effort, the rule of law at the national and international levels.